This evening signals the start of this year's Six Nations (Rugby) tournament. The Six Nations is one of the world's most attended events with an estimated average crowd attendance of 72,000 at each game during the tournament. Many fans will travel far and wide to follow their country through their trials and tribulations on the pitch. However, the challenges for disabled fans don’t stop there. Level Playing Field has heard that during previous tournaments accessible services such as train assistance has been suspended due to the tournament. There is no doubt that there are other areas that impact on a disabled fans match day and we urge disabled fans to speak out about their experience. This is a festival that prides itself on being inclusive and you often see this but we also want to make sure that no stone is left unturned in the search for an equal matchday experience for disabled fans. Owain Davies, Chief Executive – Level Playing Field said: “This such an exciting time for so many people and the buzz of the Six Nations takes households, bars and stadia. This tournament is one of the most watched globally with a staggering average attendance. We want to ensure disabled fans are included through out and have a great experience”. 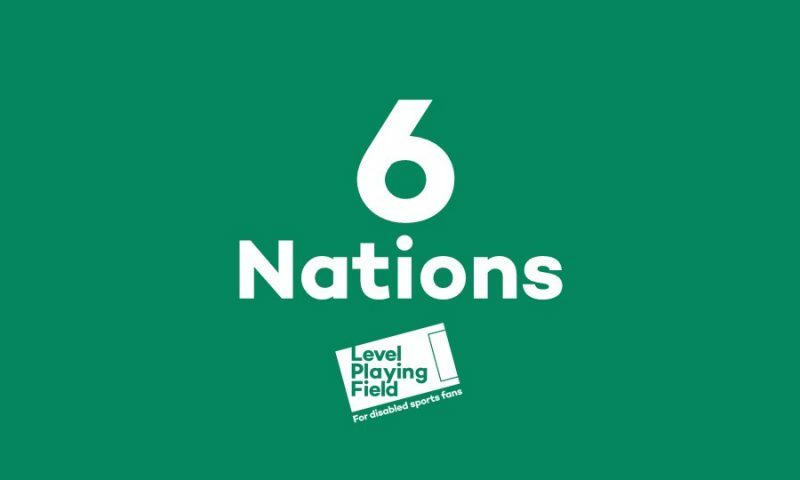 Level Playing Field wishes all the home nations the best of luck in this exciting tournament and if any disabled fan wants to get in touch with us please do and share your experience.